Are you a professional technician who is looking for a reliable vehicle diagnostic tool? Then, you’ve landed on the right page! 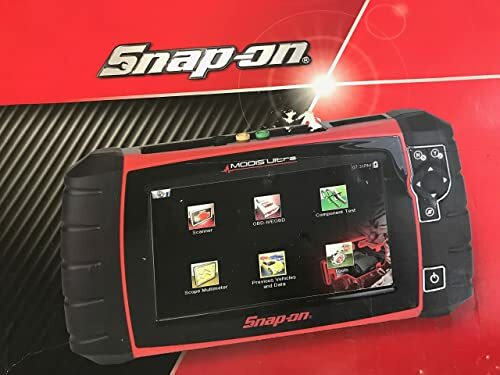 Snap-On Solus Edge scan tool is fast, efficient, handy, and easy to use.It offers a superior performance, helps you view live data, allows you to create graphs and connect to a PC. Well, Snap On Solus Edge is a professional scan tool which can let you fix the car-related common problems in a simple, smooth, and hassle-free way. 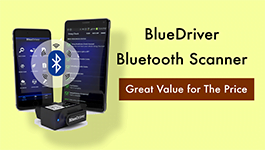 Therefore, instead of wasting loads of time and effort in scanning and diagnosing the root-cause of a vehicle problem, you are recommended to use Snap On Solus Edge for the quickest, smartest, and best-possible solution. This latest Snap on Solus Edge diagnostic tool, designed by Snap-on is powered by sophisticated functionality, intuitive user interface, and advanced graphing features. Can Perform ECU Coding and Online Programming for Benz BMW VW Audi. New unit is 3 years behind in term of software before updates. The scanner itself has almost no shortcomings but the Tech support is not really useful. Expensive. Bottom Line This is one of the best scan tools that's currently available on the market for professional mechanics and technicians. 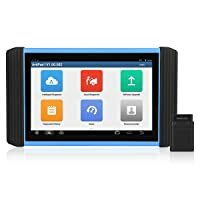 Autel Maxisys Elite is definitely one of the best automotive diagnostic tool for technicians and mechanics for vehicle repair and maintenance. TT Topdon Professional is a great option for technicians and mechanics. The product comes with a large 8-inch touch-responsive, intriguing, and user-friendly display. The large touch-sensitive display offers you an enhanced readability (under various lighting conditions). The best part is that the product is extremely easy to use. Even if you are a novice or first-time user of such tool, you will not face any difficulties while handling it. The product is designed to offer you the fastest and smartest solution. It takes only five seconds to boot up this device. Once done, you are now ready to use it for various diagnostic, scanning, and troubleshooting purposes. The product comes with a comprehensive Fast-Track Troubleshooter database that offers excellent tips and timesaver tricks right at your fingertips. If you are struggling to fix a problem, simply refer to this Fast-Track Troubleshooter database and solve the issue like an expert. The device always ready-to-use and continues working as much as you need it. Functional tests, live data, relearns, and adaptations. Custom data lists, PID sorting, PID trigger. Record the live data parameters & create graphs based on these parameters. Pause, zooming, cursor functions, snapshot, and freeze-frame etc. Can connect with laptop and personal computer via a USB port. Can use ShopStream Connect software in order to save data on the PC, print, and share it with others. The product comes with a high-capacity microSD card that contains diagnostic software and it stores all of the data files into it. Snap-On Solus Edge coverage for over 70 vehicle systems. Coverage for over 70 vehicle systems. Can be used for several purposes including hybrids, steering, TPMS, and clean diesel. The gadget offers an enhanced coverage for more than 40 makes. The model is perfectly compatible with all Asian, Domestic, and European vehicles. All professional technicians and mechanics should use Snap-On Solus Edge (EESC320) to quickly scan and troubleshoot a car-specific problem. Apart from that, if you are running a car repair shop or you are a car owner or car enthusiast, you can use this handy tool. Snap-On Solus Edge scan tool is fast, efficient, handy, and easy to use. It offers a superior performance, helps you view live data, allows you to create graphs and connect to a PC. The product also offers comprehensive vehicle coverage as it is compatible with Asian, European, and Domestic vehicle models. Do not hesitate to buy this product if you are looking for a professional-grade and reliable car diagnostic tool. This article focuses on Cold Air Intake for your car. You will know What An Cold Air Intake is? and What are the Pros and Cons of Cold Air Intakes. Which is the best OBD2 app for your car? We have reviewed the 15 best OBD2 apps (for iOS / Android) and recommend the compatible adapter for you. 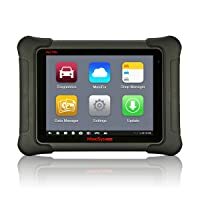 Autel MaxiCOM MK808TS is one of the best obd2 scanners due to the features it offers. You can perform a full system diagnosis in your car and more. Launch CR619 review: Design and Interface, Functions, Pros and cons, Launch Creader CR619 vs. Launch 7001S vs. Autel AL619 Comparison chart and FAQs.